Years ago, Geoff and I had a Polaroid Spectra camera that we gave away since the film was discontinued and we were more interested in the SX-70 anyhow. It wasn't until Bre posted her beautiful Spring collection photos that I decided to try out the expired Softtone film available through the Impossible Project. I managed to find another Spectra camera in a thrift shop fairly easily, for about $5. Thank you to Bre for the inspiration! I wasted an entire package of it taking pictures at home, and of the cats, but I just kept compulsively clicking away. The picture in the top right is a double exposure we tried to create of both cats together, since we can't get a picture of the two of them together in any other way. All the pictures ended up looking abstract, like paintings, which I like. I ordered some more (what an indulgence! ), and I hope that I won't fritter the rest away since the supply of it is dwindling. Please note the ghost cat. 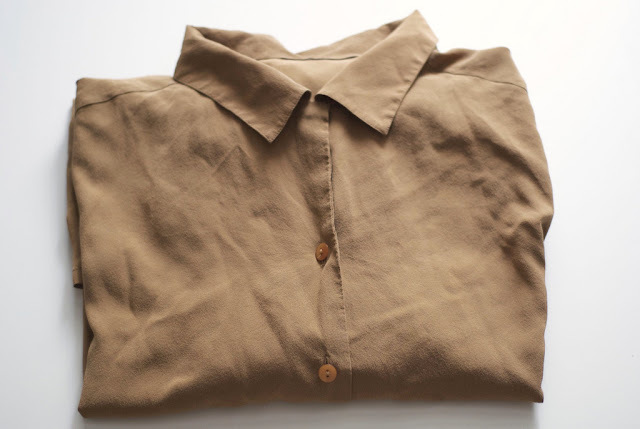 I love the tones in the pictures, which make me think of a few things that I keep in my bedroom: a beaded collar I bought at Zara last fall while in Spain (which, of course, I have yet to wear once), and a silk blouse from Penny Arcade Vintage. I am still really attracted to things that remind me of Neapolitan ice cream. erin: Oh, that's too bad, but I hope you will/did enjoy your time here! Camille: Yes, for sure! Geoff and I have only been to Montreal once (somehow?) and it was during a period where none of our friends were living there (seems that there is always someone living in Montreal at some point). We had such a hard time finding places to eat since we knew the perfect little hole in the wall had to be just around the corner. Sadly, we never found it. in dreams: Yeah, it's lovely! They do have really great coffee, if you're there earlier in the day. Weirdly, ever since I posted this, I haven't been back! marissa (stylebook): Let's do it! janis, Sarah J, louise, Lela, charlotte: I'm glad you enjoyed this little peek! laurie: Yes, just say when and I'm there! fraisedesbois: You are always so kind, Catherine! Thank you. Caitlin Rose: I'm glad you did! I'm so so happy that you liked it. Isabel Marques: Yes, it does have that feel! Lexie, Little Boat: Thanks for that, lady! katie merchant / thank you, ok: Haha! And then we didn't even make it. zoë: You are so sweet! Celine: I hope you get to go back soon and soak it all up! Jules: I hope you get to check it out soon! Totally worth a visit. hila: Thanks, lady! I agree. I like the idea of a regular spot, although it can be so hard to find one. Renee (eatliveshop.com): I think a lot of people aren't aware! Which is why it's such a nice little secret for now. Morgan Ashley Allen: Thank you! It snowed a lot that night, but it was the pretty, sparkly kind. Is the shipping to Canada still stupid expensive through Impossible Project? I'm going to hop over right now and check it out! Love the dreamy tones. Adore always seeing some of your stash of lovely things! oh wow, these are so pretty! PS. photos of cats isn't a waste of film! i have a stack of softone film for my spectra and this is what i'm taking to my trip. now i know how they come out- beautifully. I really like this collar it's so chic and elegant! I love polaroids. The camera, saving it for those special moments, the impatience when you're waiting for the result and the excitement (most of the time) when you see it. Have fun with it, these look very pretty! I love the colours in the photos as well. It's nice of you to share all of this. Also, that collar is amazing, even if you never wear it! wow...you just reminded me that i have a spectra somewhere...if it was the spectra, i used it for the prints, which you could manipulate with a pen or something while the emulsion was still wet and get these really cool impressionistic type prints....it was one of my polaroid cameras. anyway i need to go find them. oh no! my secret is out!! :) i've fallen madly in love with the spectra film, ever since all the 600 got to be mega-expensive + impossible to find. i found an old spectra that works and i've been taking lots of shots for my blog with it ever since. (have i mentioned i have a mostly-polaroid photography blog? it's expensive, haha!) 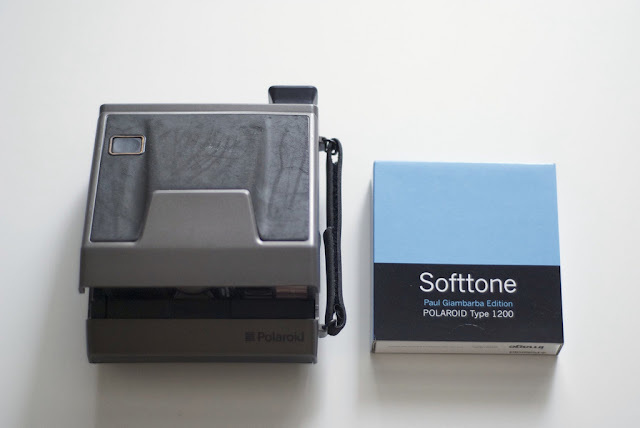 i also use an sx-70 that my lovely boyfriend got as a birthday gift a few years ago, but since there's really only artistic tz left, and i think i've worn out my teal love affair. The photos are so lovely! I love the tones and the softness! Wow this is absolutely gorgeous (AND THAT PEARL COLLAR). I can't imagine how hard it is to refrain from using a Polaroid camera. They look like so much fun! 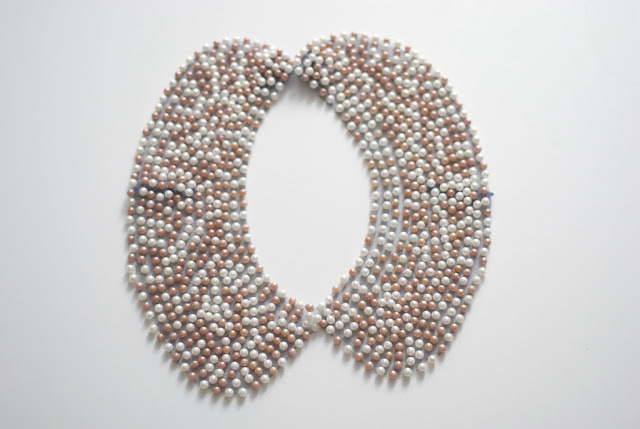 oh gasp, that beaded collar is amazing! I'm so bad taking polaroid pictures, the images never live up to what I want to create in my head. I think I'll stick to admiring other people's photos. I love the wispish, peachy tones of your polaroids. So yes, please, can we see more? Oh, this post opens up a whole new world of film awesomeness for me. 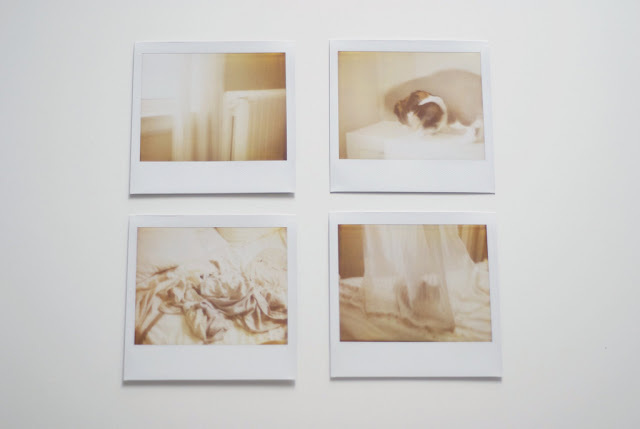 Love the soft tones of your polaroids! And I totally can't believe you've never been to Vancouver! You should really visit, if only for the restaurants. that collar is amazing! so great. love the photos too. so nice polaroids!!!! i am just crazy about that!!!! nice shots...have a nice weekend!!! and speaking of dreams: that beaded collar is gorgeous! Oh my goodness, I am so jealous of your film! I've had a Polaroid camera for nearly a year now, and it's pretty impossible to find film in my area. Oh well. Your pictures are stunning, though! I love the feel. 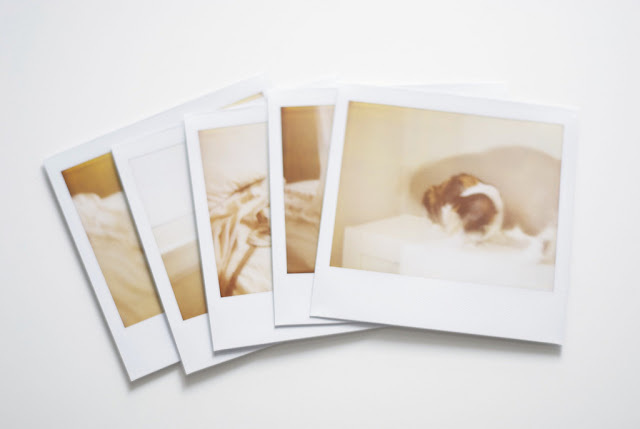 i love the tones and soft focus you get from polaroids, lovely photos! i am a big fan of polaroids too. the film is expensive, but they are so fun. and there is nothing like finding a great vintage camera at a thrift store! i lived in spain for a year- right near zara. i was addicted. I really love the photos and the amazing collar! this collar is just adoooorable!i want one too!